The second concern relates to a bankruptcy debtor's disposable income. The term "disposable income" is a term of art that has a complex definition in the Bankruptcy Code, but simply stated, it is the money left over after paying all necessary expenses. 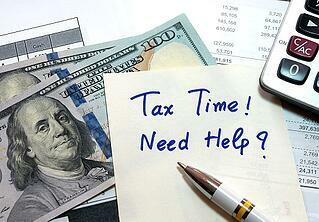 Tax withholdings are one of those necessary expenses. If there is a large tax refund at the end of the year, than the debtor's net income is artificially low. If there is a significant amount of disposable income, than a person may not qualify for a chapter 7 bankruptcy or it could be found that the debtor did not file bankruptcy in good faith. If you have any bankruptcy questions, don't hesitate to contact the attorneys at Scura.